Almost no interest at all was shown in the news conference of British MEP Andrew Duff (ALDE) on his proposal for an electoral reform to be realised before next European Parliament elections in 2014. In spite of the lack of interest however, Mr Duff emphasized precisely on the criticism by outlining four main criticisms. The first principle criticism is related to the most attractive part of the proposal, which is the creation of a transnational list for the election of 25 members of the European Parliament (MEPs) through a pan-European constituency. According to Andrew Duff, most critics think this would create two classes of MEPs - one of the type "euro star" members and the rest - second hand deputies. But even now there are at least two classes of MEPs - bad and good ones, Andrew Duff said. 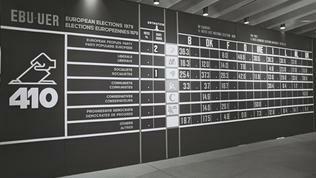 There is also inequality in terms of the various electoral systems in the member states, when in some countries MEPs can be elected through regional territorial constituencies, while in others this is impossible. He pointed out another argument against this criticism - the European Parliament creates a wonderful levelling possibility - a former prime minister and a plumber can sit side by side, get the same salary and have equal opportunities to become influential parliamentarians. The second principle criticism was expressed by euinside in a debate organised by the Capital weekly. And it is that, in order the electoral reform to take place, amendments to the Treaty of the EU must be made. Given the fact that reaching a compromise on the Lisbon Treaty took the EU almost 10 years, there is no person in the EU not to shiver in horror only with the thought of opening a new process of treaty negotiations. To this the British MEP said: "I have to say that I think that treaty change is going to be a normal regular feature of the EU to codify jurisprudence to make all modest changes to important instruments or procedures. 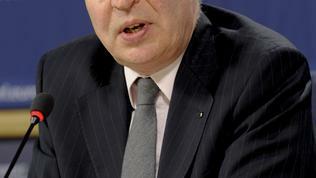 The ESM is a good instance of how of the kind of the treaty change we are going to have to do in the future". Mr Duff has in mind the agreement for small changes to the Treaty of the EU that allow the creation of the permanent mechanism for troubled member states (ESM). The main thing in this case was that EU leaders wanted a legal way to be found for these amendments to be introduced, avoiding holding referenda in those countries where it is obligatory (Ireland, for instance). The condition for this was the amendments not to lead to the transfer of more sovereignty to the European institutions. From Andrew Duff's response it does not become clear whether he has in mind precisely such types of amendments and on what basis it will be estimated whether there is a transfer of more powers to Brussels. He, however, pointed out that the treaty had to be either way changed because of Croatia's accession, planned for July 1, 2013. The deputy recalled that under the Lisbon Treaty it is the European Parliament that has the right to define how many deputies Croatia will be entitled to send, not the Council or the Commission. The third challenge for the proposed reform is the reaction of political parties both on national and European level. According to Andrew Duff most affected by the proposal are the national political parties. They feel threatened by the proposed changes, because with the introduction of a transnational list they will start losing ground. The European political parties, again after the MEP's words, have timidly accepted the proposal, although some of them are "greatly intimidated by it". 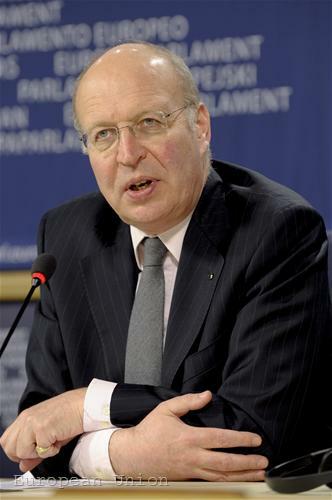 The European People's Party (EPP) is the most federalist party, Andrew Duff claims, which is why it is the most keen. The socialists and democrats (S&D) are the most nervous on the issue and the liberals (ALDE) are somewhere inbetween, the MEP says. The Greens are firmly in support for the reform. The fourth big challenge remains timing - many MEPs in theory support the idea for a transnational list but when it came to act many of them became nervous, Duff explained. The Polish Presidency had committed to open a dialogue on the issue with the participation of the Commission too, Andrew Duff said and hoped that the time would be enough until 2014. The Green Party of England and Wales is not in favour of transnational lists for the following reasons (statement originally passed by their national conference in 2002): "Proposals in the Treaty of Nice to create pan-EU political parties are neither in the best interests of democracy as a whole nor those of Green politics in particular. Such parties would be very distant from the citizens they seek to represent. 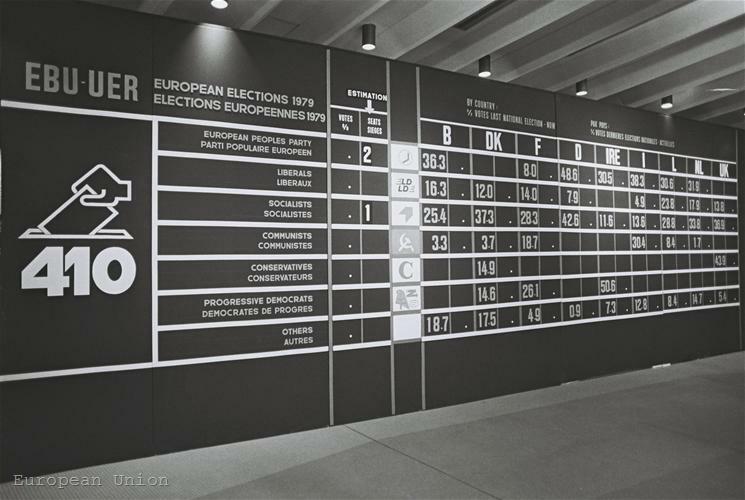 Such a system would be less able to represent regional and national variations in circumstances, views and policies.The idea that voters in future EU elections should be required to cast some of their votes for such distant EU-wide party lists would further disenfranchise electorates already disillusioned with the EU project."